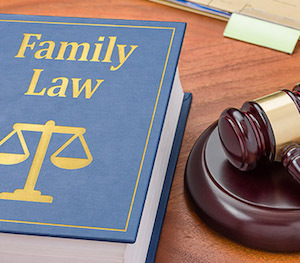 Call an experienced Family law attorney with dedication and skills to help your North Carolina divorce case; We handle divorce and separation cases in Huntersville, Matthews, Charlotte, Concord, Kannapolis and all surrounding areas. We represent spouses and families in Mecklenburg, Gaston, Cabarrus, Iredell, Rowan, and Union County. Divorce, custody and division of property is a process that requires legal skill to protect your and/or your child’s rights and interests. To have a Court grant a divorce in North Carolina, the couple must be separated for at least one year and a day. One of the spouses must have been a resident of the State for six months prior to filing the Divorce action. Divorce can be a relatively simple process if it is not contested by the spouse. The lawyers here at Olisinski Law Firm are skilled in having divorce requests reviewed by a Judge in a hearing. We can sometimes help facilitate a less-costly contest. It is crucial to act promptly and plan with a divorce, custody and support attorney to protect you or your childrens’ rights, property and/or means of support. Once a court issues a judgment of divorce, neither party can file a new claim for alimony or equitable distribution. Or you may defend against unjust claims of support. Call us for an initial consultation to determine if you are eligible for support, alimony or equitable distribution of property or income. Contact the attorneys at Olsinski Law Firm to learn about your rights and protect your property, children or income, or to discuss any areas of divorce, legal causes for divorce, planning for divorce or about legal separation or division of property or incomes. One of the most difficult questions parents face when separating or getting a divorce is who gets custody of the children? In North Carolina, the court will determine custody by looking at what is in the best interest of the children. What is in the children's best interest and welfare can be unique to each family and be more complex in some cases. North Carolina recognizes two different types of custody - Read More. There are cases of joint, separate, or primarily one parent custody, with or without visitation. We can negotiate custody agreements or litigate custody disputes. For more information on custody rights, call our Charlotte office at (704) 405-2580 or our Concord office at (704) 918-4747 to schedule an initial consultation. One of the biggest concerns in separating is the financially support of children to minimize impact of change on the child. North Carolina uses an "income shares" model to calculate child support obligations - Read More. For questions about child support call The Olsinski Law Firm for an initial consultation. Divorce can be a very emotionally difficult process. It is important to know your rights and have an attorney advise what to do. You need to know what is required to file for divorce. Divorce often opens major new issues such as how will property and debts be divided, who is entitled to and who will pay or receive spousal support, and length of the process and obligations - Read More. Your first step should be to speak with a good divorce attorney. Olsinski Law firm can help answer those questions and advise and defend your rights. Contact us for North Carolina divorce matters if you or your spouse have lived in North Carolina for at least six months prior to preparing to file. If you need help on any divorce matter, call us at (704) 405-2580 or (704) 918-4747 to schedule an initial consultation. The dividing of marital property and debts in North Carolina is known as equitable distribution. Whether you both are seeking an amicable resolution of a property settlement agreement or whether a dispute ends up in court, there are steps you need to take on which we can advise. Read more about the first steps in determining what property may be involved and its value, and what is involved in dividing it. If you may need assistance with the division of property in a possible divorce, call us at (704) 405-2580 or (704) 918-4747 to schedule a consultation. Spousal support can mean a monthly payment of support and maintenance to the dependent spouse. To determine the duration and amount of alimony, a court considers many factors under North Carolina General Statute § 50-16.3A - Read More. Post-separation support and alimony may be modified or terminated under certain conditions. Contact The Olsinski Law Firm at (704) 405-2580 to discuss your concerns about spousal support. Victims of domestic violence do not have to suffer in silence. We can get immediate and substantial relief from violence or abuse in North Carolina with a Domestic Violence Protective Order. A protective order can be done quickly even without the other party appearing at court - Read More. If you have experienced an attempt by someone in your family or relationship to cause bodily injury, or if you have suffered an injury, or placed in fear of imminent serious injury, or continued harassment, you are not alone.